Ha! I love it when a plan comes together. 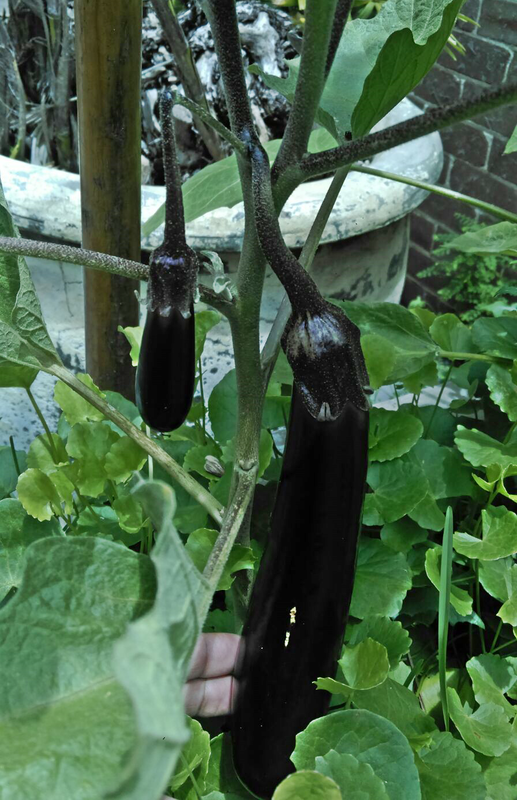 My sister just sent me these pictures of the eggplant seedlings I planted in Sydney, four months ago. There are five fruits on the little plants! I planted it about four weeks before I left for Kuala Lumpur. I watered it everyday and fed it with seaweed fertiliser weekly and hoped for enough rain to sustain it after I left. Really really pleased with the result, even though I will never get taste these vegetables. Just goes to show what a little planning can achieve. 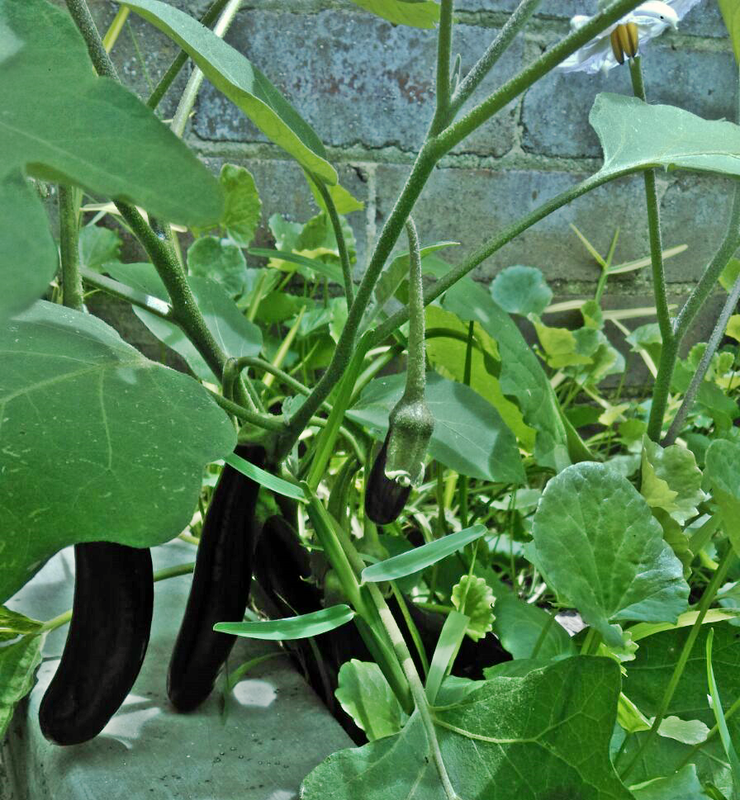 I can see more flowers in one of the shots and I hope the little plants will keep producing more eggplants in the coming months. PS In case anyone was wondering, that’s pennyworth (and some weeds) growing in the background. I thought that patch had died off after the hailstorm that hit the inner west last April, but it looks as though it has come back with a vengeance. It’s great in salads.